Did you ever wonder where the wedding dress came from? Why do women wear white and why must they spend hundreds of dollars on a dress they will wear only one time? While each culture has their idea of what a wedding dress is supposed to look like, Americans take their customs from the British. Did you know that it was Queen Victoria that started the trends? 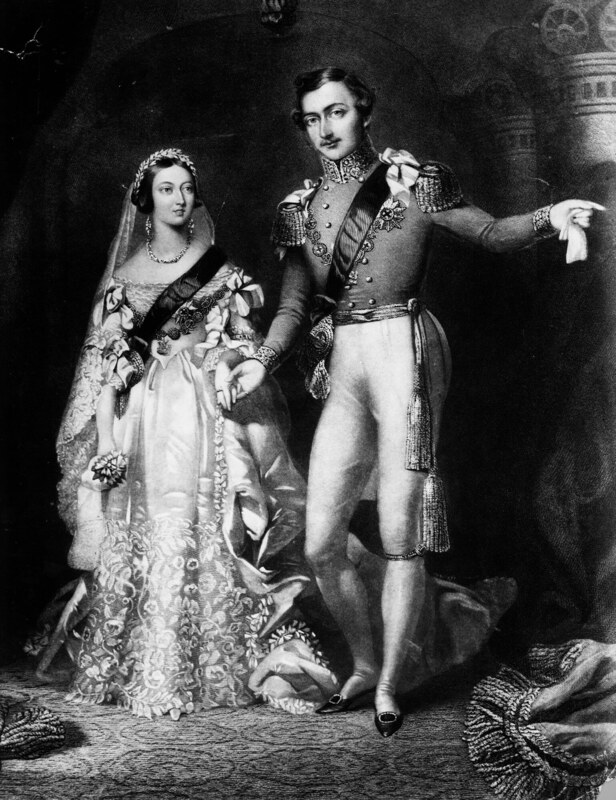 Queen Victoria was to wed Prince Albert. Before this wedding, brides hadn’t worn white. In fact, they wore heavy brocaded gowns. Given the fact that deodorant wasn’t readily used in these days, these heavy gowns probably came with some strong odors too. They were often embroidered with white and silver thread to make them stand out from other dresses. In Western Europe, however, red was the standard color for a bride’s attire. Before this time, any color was acceptable for this big day. Both American and European brides wore blue, yellow, and everyday colors like black, brown, or gray. White was never considered as a choice because of its plain appearance. But, that all changed when the queen made her grand entrance on February 10th adorned in pure white. Where did Queen Victoria get such a notion? Well, in those days, debutantes were required to wear white court dresses for their first presentation. Before they were introduced to the queen for the first time, they would go to the “Drawing Room.” Back then, white represented wealth and social status. In Christianity, white means purity and represents the washing away of sins. No one is really sure why the queen made such a bold fashion move, but it really resonated with the people of that country and abroad. White was an odd choice because washing clothes was a great deal more difficult back then. They didn’t have H.E. efficient washing machines and dry cleaners like we do today. 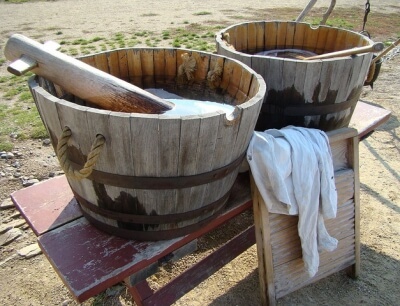 Laundering techniques used in the 20th Century were quite labor intensive and almost impossible when it was a large gown. However, when a bride adorned herself in white, it showed that the family had money and class. They were able to have such an elaborate dress that they didn’t mind being ruined by a spill or some dirt. They thought of them as disposable dresses, which is why they are only worn once even to this day. Today, dry cleaning and preservation allows us to keep these dresses for decades beyond their original use. Back then, that was not possible. Elite brides around the world picked up on the trend in the 19th century. They began wearing white on both sides of the Atlantic. However, the trend didn’t become popular in America until after World War II. By the 20th century, the tradition grew into a practice as well as wearing the dress just once. What is shocking is that Queen Victoria chose to have the gown restyled so that she could wear it again. In the 19th century, many other brides followed suit. Of course, divorce was not as prevalent then as it is now. Today’s bride wouldn’t want to wear the gown again. Consequently, the modern age woman would want to burn the thing if it was a part of the nuptials to an ex. However, eBay and other online sales sites allow brides to sell their gowns for some quick cash. Another thing to note is that the infamous bridal veil was also added in the 19th century. Women were required to wear veils in a church as a covering in these days. So, it was added to the wedding. This addition coincided with societal emphasis. A woman was told that she should be both well-behaved and modest while in public. The unveiling of the bride was a very intimate thing between the couple. The man took ownership of her, and this sacred act bonded them. Women were seen very differently then. To unveil the bride was special. In American culture, the father unveils the bride giving her hand to her betrothed. The white gown soon became a part of wedding traditions. Many Hollywood movies produced after World War II helped to homogenize the white wedding dress into a trend. What sealed the white gown is this country was when Princess Diana married Charles, Prince of Wales, in 1981. Her white dress was elaborate with a 25-foot-long train. This nuptial event has long been dubbed the most influential “white wedding” of all times. Anything goes these days, however, the majority of brides still look to a white wedding gown for their big day. It’s still a vision of beauty and perfection for one of the most important days of their lives.